We are one of the leading suppliers of Bar-code Reader Module. These products offered by our organization is compact readers with powerful reading capabilities. Our products are widely known and applauded for its Lightweight and compact dimensions. Connectivity with 'Divya' Time Attendance / Payroll software. 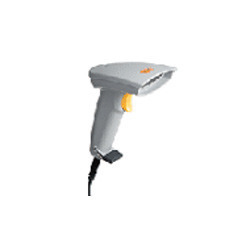 Barcode Reader Module USB offers an excellent scanning performance and are attractive, entry-level price. It reads from the contact to 150mm from the bar-code providing an accurate decoding in seconds. These scanner provides ultra-low power consumption and an all-in-one universal host interface. Bar-code Reader Module Serial Output offers excellent scanning performance with an attractive, entry-level prices which reads from contact to 150mm from the barcode and providing accurate decoding within seconds. This scanner is highly known and applauded for ultra-low power consumption and an universal host interface.